Posts about youth in amateur radio. 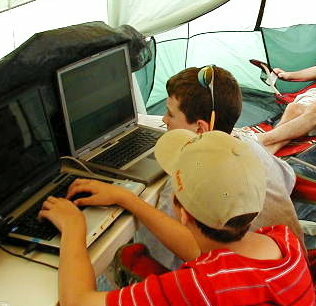 During Field Day 2008 we carefully observed what operating modes the young teens did and did not enjoy while they operated. Without a doubt the digital modes, especially PSK31, got their attention. Teenager and a younger boy sharing PSK31 contacts on an HF station.